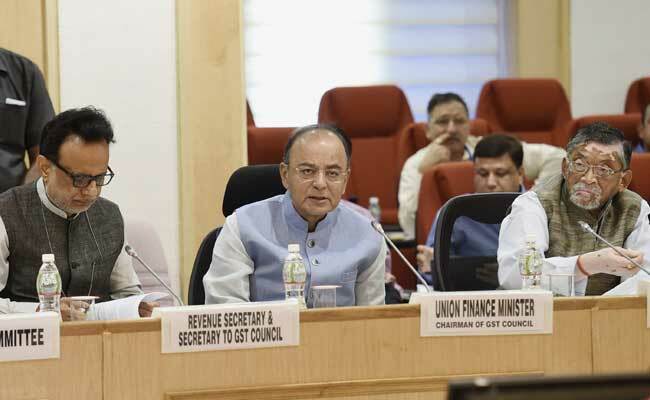 NEW DELHI: The powerful GST council meets at 10.30 this morning to revisit compliance rules for businesses and discuss and make what have been described as "structural changes" in the new national tax regime, acting on feedback and complaints from businesses. The review comes amid criticism over the way GST has been implemented. Two days ago, Prime Minister Narendra Modi promised that glitches would be fixed and he held a meeting yesterday with Finance Minister Arun Jaitley and BJP chief Amit Shah. The focus is on relief for small and medium traders and exporters and the GST council is expected to relax the rule that requires businesses to file three returns every month. Businesses with a turnover of up to 1.5 crores are likely to be allowed to file quarterly returns. There is also a proposal to raise the threshold for the composition scheme - which allows small traders to pay a standard tax rate - from Rs. 75 lakh in turnover to Rs. 1 crore. The council is also expected to consider demands that the reverse charge mechanism be suspended. This rule - which shifts the liability to pay the tax on the buyer rather than the seller - kicks in if a supplier is not registered under GST to check tax evasion. The GST rates for textiles and some other items may be revised by the council, which is made up of state finance ministers, officials from both states and the Centre and is headed by union Finance Minister Arun Jaitley. The council is likely to recommend relaxation for exporters so that their working capital locked up in refunds is released. It is also expected to allow electronic payment of taxes. The course correction comes against the backdrop of stinging attacks on the government for what the opposition alleges was a hurried and sloppy implementation of the mega tax reform. Congress leader Rahul Gandhi has accused the government of crushing small business with a complicated process. In the last week, two former union ministers Yashwant Sinha and Arun Shouriecriticised the government's handling of the economy with Mr Sinha alleging that a "badly-conceived and poorly-implemented GST" was playing havoc with businesses.